A long time ago, when I was living in Southern California, there was a restaurant chain called “The Magic Pan.” They were famous for their delicious crepes. I would eat there for lunch and dinner and would frequently order their “Orange Almond Salad. ” So today for lunch, I decided to have this wonderfully healthy salad. 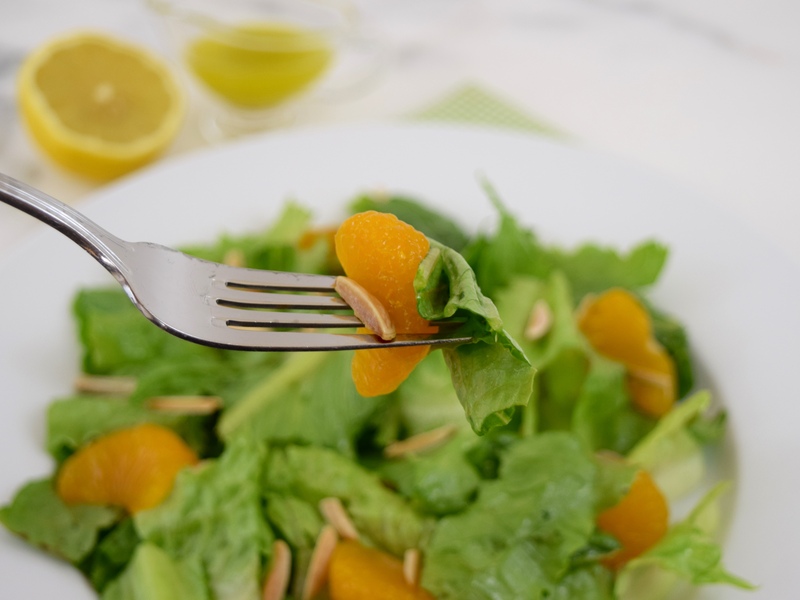 It is a very simple dish made with only romaine lettuce, sweet Mandarin oranges, and toasty almonds. I dressed it with a very basic vinaigrette made with tangy lemon. What is great about this salad is that it can easily be prepared with ingredients commonly found in the refrigerator and pantry! 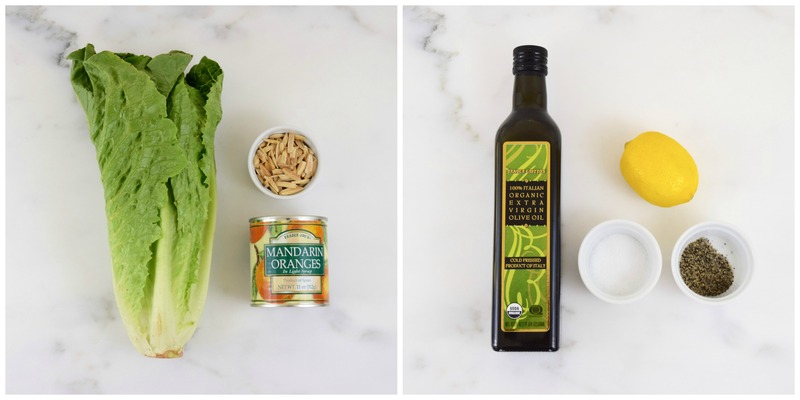 In a small bowl, whisk together the olive oil and lemon juice. Add salt and pepper to taste and blend well. 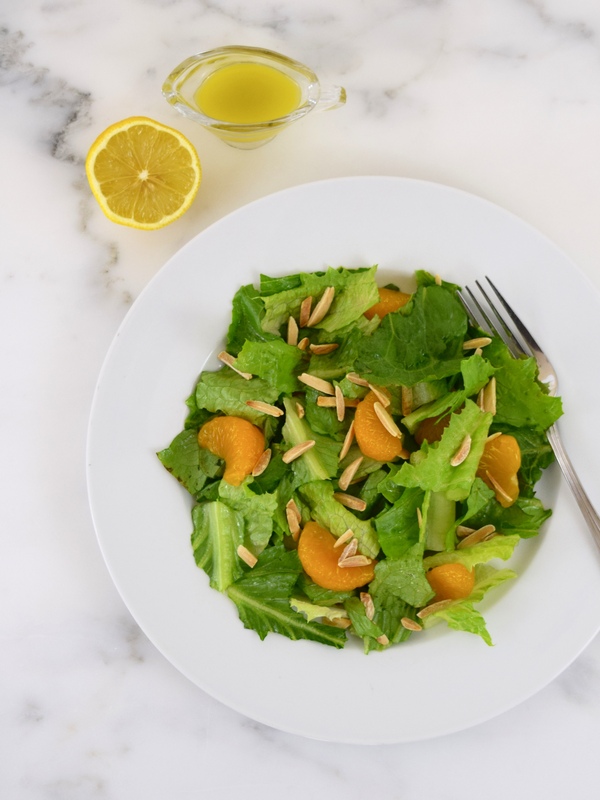 Using a large bowl, add lettuce and oranges and gently toss with the vinaigrette. Sprinkle with almonds and serve. 4 servings.